One of the fastest-growing counties in Maryland, Frederick has become a draw for all kinds of travelers. Now spending more than $1 million per day, these travelers visit for business and for pleasure. They also overwhelmingly want to stay in Downtown Frederick. And soon, they will. 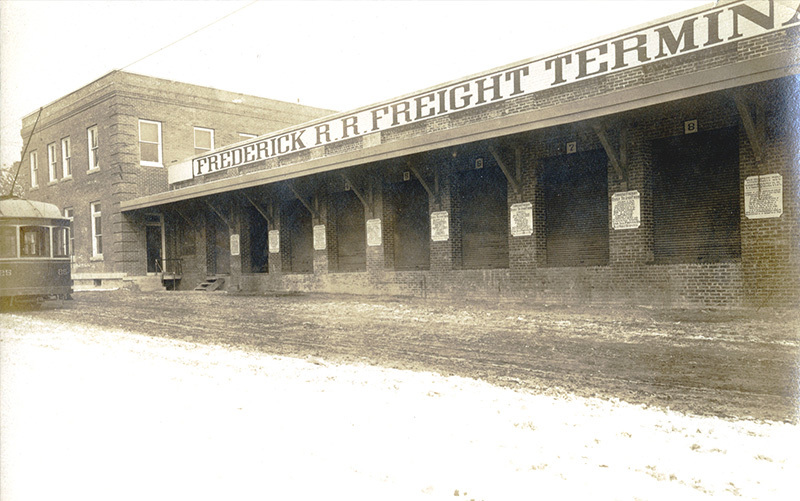 The history of Frederick has always been a vital part of our community. Building upon that, historic preservation concerns have been a major driver in shaping the architectural aspects of the hotel. The final square footage and room count for the Downtown Hotel at Carroll Creek will be determined during the City approval process. The new design includes 183 rooms, approximately 20,000 square feet of rentable meeting space and about 160 parking spaces. In keeping with the design concept previously submitted, the new design incorporates the historic Trolley Building, located at the corner of E. Patrick and S. Carroll Streets, which will be completely renovated. This renovation will include re-opening the front entrance of the building where trolleys once entered to board passengers. The new design also incorporates brick construction and a rooftop lounge, as well as orients the building to both Carroll Creek Linear Park and Carroll Street and E. Patrick Street, consistent with the original design concept. Building on the momentum of the past 30+ years of investment, the Downtown Hotel at Carroll Creek is an exciting project that will bring new lodging and meeting space to Downtown Frederick. This new facility responds to both community desires and business needs. We would be happy to answer any questions regarding this project.